Right-click in the desktop area. Type eudcedit.exe in the location box and then click Next. Give the new shortcut a name (e.g. Font Editor) and then click Finish. 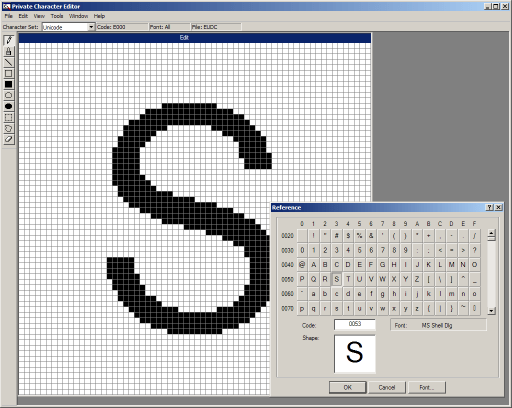 And hey presto, you now have a basic font editor! This tip has been tested to work with Windows XP, but should also work with Windows 2000 and possibly other versions. Does not work with 98se.